Now that Azure supports .NET Framework 4.5, you can use all the latest and greatest available features. 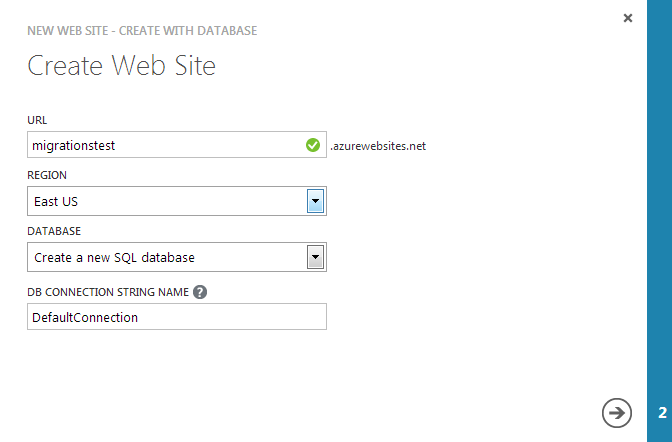 A common scenario is to be able to use Entity Framework Code First Migrations with a SQL Database in Azure. 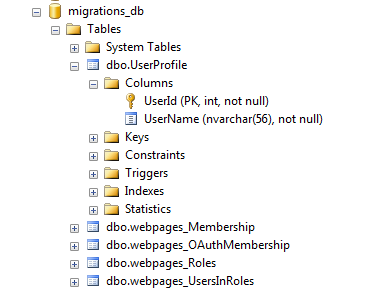 Prior to Code First Migrations, Entity Framework provided database initializers. While convenient for demos and prototypes, database initializers weren't useful for much beyond that because, if you delete and re-create your entire database when the schema changes, you lose all of your operational data. This is the void that Migrations are meant to fill. For example, if you add a column to your model, Migrations will alter the database to add the column rather than blowing away the entire database and re-creating it from scratch. 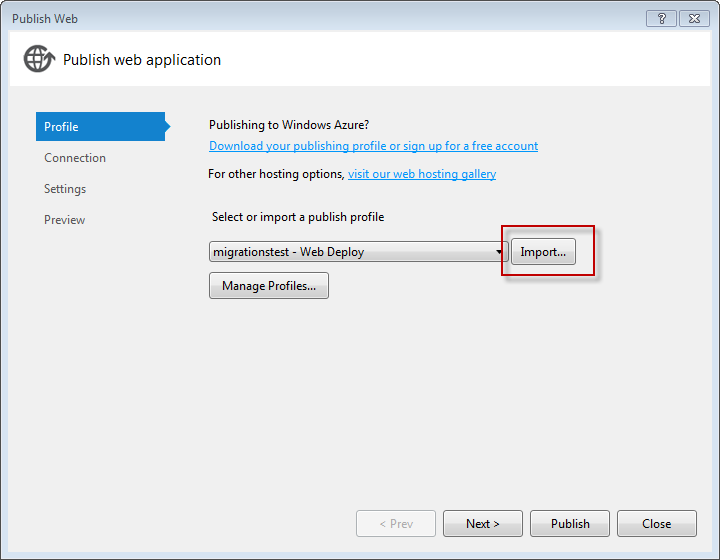 Azure is becoming increasingly easier to use – especially with features like Azure Web Sites. Being able to use Entity Framework Migrations in Azure makes deployment easier than ever. 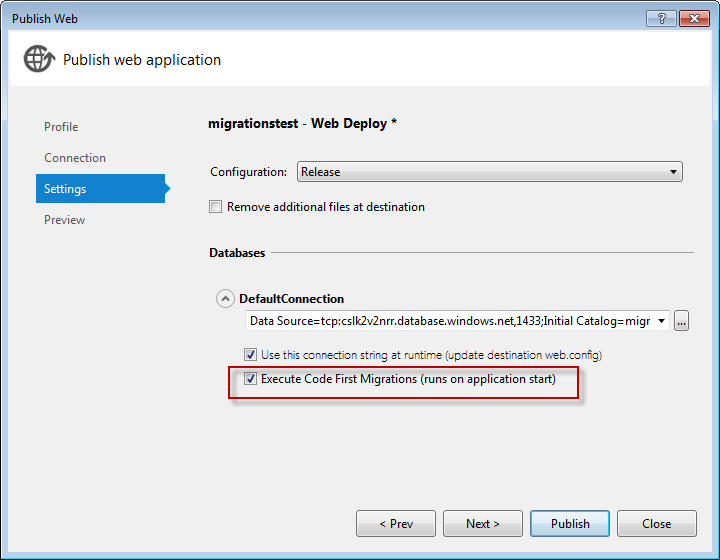 In this blog post, I'll walk through enabling Automatic Code First Migrations on Azure. I'll use the Simple Membership provider for my example. 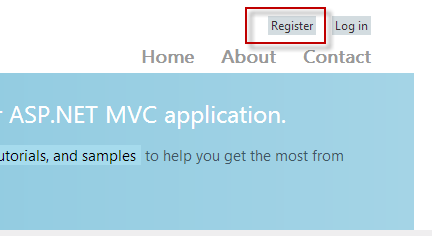 Once the site is published, we'll just click the "Register" link from the default site. Since the AccountController is decorated with the [InitializeSimpleMembership] attribute, the initializer will be called and the initial database is created. 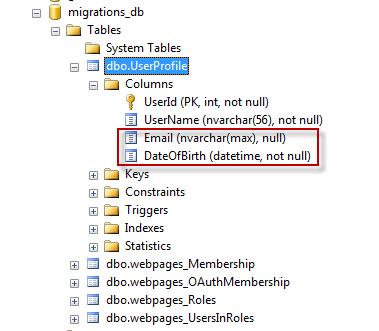 One interesting note is that these tables got created with the default Entity Framework initializer – which is to create the database if it doesn't already exist. However, our database did already exist! This is because there is a new feature of Entity Framework 5 where Code First will add tables to an existing database as long as the target database doesn't contain any of the tables from the model. This will create a migration class call "Initial" that contains the entire model. But we need to remove all of this code because our database already exists so we are just left with empty Up() and Down() methods. If we don't remove this code, we'll get an exception the first time we attempt to run migrations that tells us: "There is already an object named 'UserProfile' in the database". This blog post by Julie Lerman fully describes this scenario (i.e., enabling migrations on an existing database). Note the Initialize() call will force the initializer to run if it has not been run before. Automatic Migrations provide a quick and easy way to keep your database in sync with your model without the worry of having to re-create your entire database and lose data. With Azure Web Sites you can set up automatic deployment with Git or TFS and automate the entire process to make it dead simple.